Focus Features and Laika released their second stop-motion animated movie ParaNorman last weekend, following the success of 2009's Coraline. This comedy centers on a boy (Kodi Smit-McPhee) who must use his gift of communicating with the dead to prevent a wicked curse from taking over his small town. 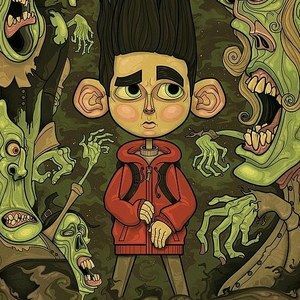 We have a contest lined up that is perfect for fans of ParaNorman, as well as those who appreciate high-quality poster art. We're giving away five, limited edition one-sheets that perfectly capture the essence of this horror-themed comedy. Hurry and enter today, details are below!